Andrea Camilleri is the author of a series of mysteries featuring Inspector Montalbano. The stories take place in southeastern Sicily in a town with a made-up name, but it sounds a lot like Agrigento. This is of special interest to me because my father’s family comes from Naro in the Province of Agrigento. Wine and food writers Diane Darrow and Tom Maresca are also loyal fans of the Inspector Montalbano books, as well as the made-in-Italy television series on the same subject, which is available here on DVD. Like most Sicilians, the fictional Montalbano spends a lot of time thinking, talking about, and of course, eating food. Especially seafood. 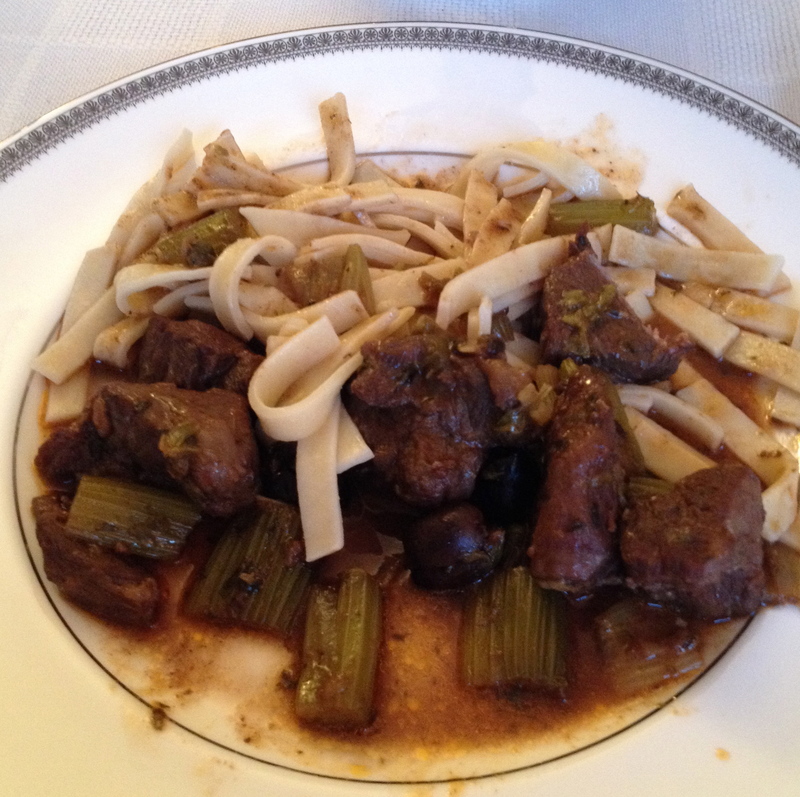 While in Italy, Diane and Tom Purchased a cookbook, I Segreti della Tavola di Montalbano, The Secrets of Montalbano’s Table, written by Stefania Campo, and recently they invited Michele and I to a dinner at their home featuring some of the recipes. 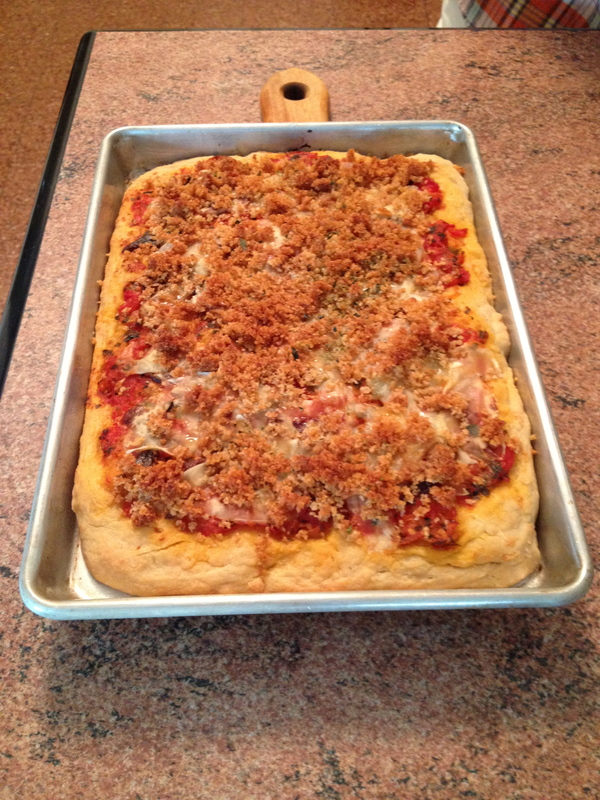 The last time we were invited for a Montalbano-style dinner, Tom paired the courses with Sicilian wines. This time he did not, but his chosen pairings went very well with the food. 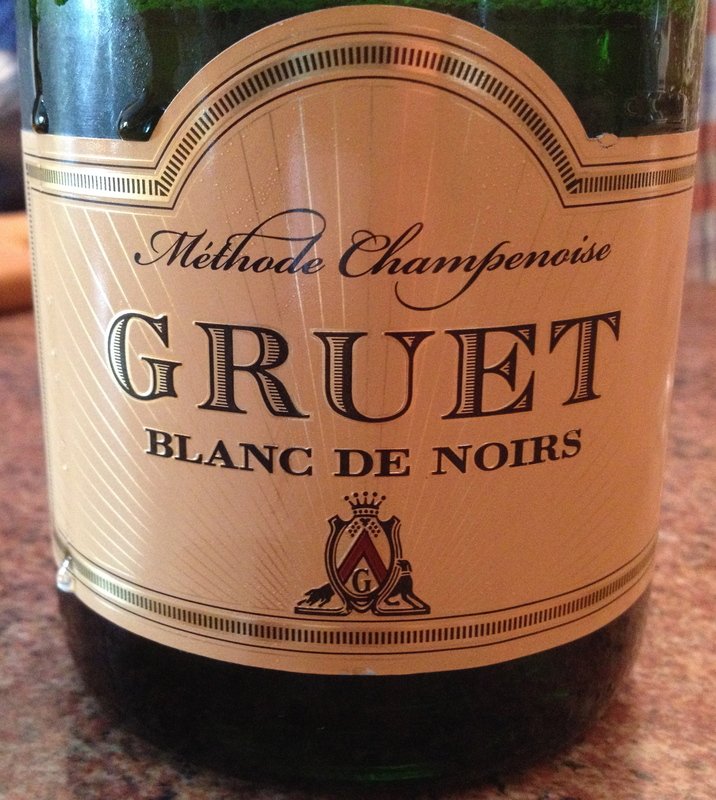 Gruet Blanc de Noirs 100% Pinot Noir. This is a sparkling wine (Méthode Champenoise) from Albuquerque, New Mexico. The wine spends a minimum of 24 months on the lees. It is a fruity wine with a creamy texture, hints of strawberries and slightly toasty. At $ 16 a bottle it is a real bargain. 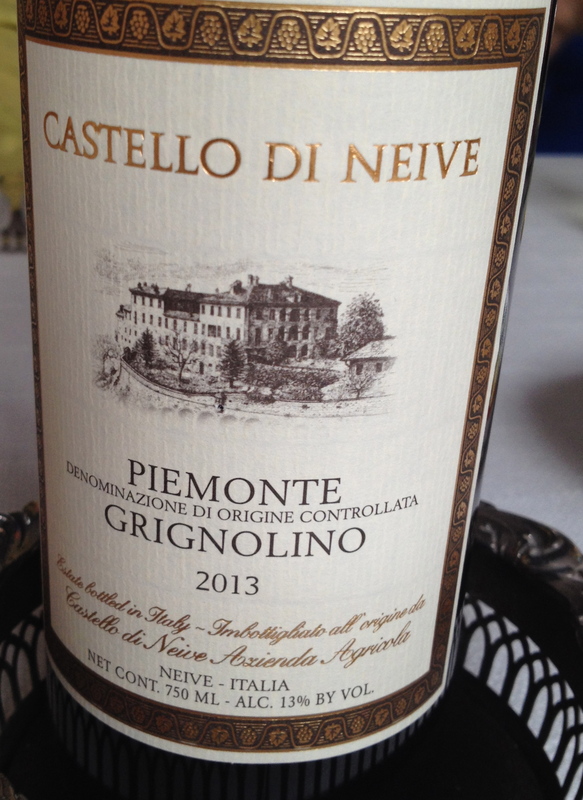 Piemonte Grignolino DOC 2013 Castello di Neive made ​​from 100% Grignolino. The exposure is east, southeast and the soil is calcareous marl. The average age of the vines is 25 years and the training system Guyot. Manual harvest in small boxes takes place in mid-September. Fermentation lasts for 8/10 days with automatic replacement. Maceration is for 5 days. The wine is aged 3 months is stainless steel and 3 months in bottle before release. 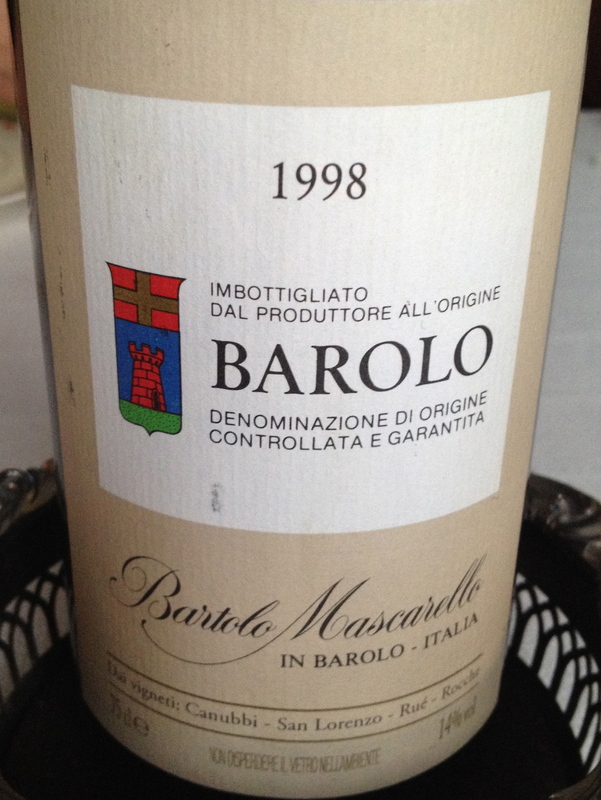 This is a fresh fruity wine, with a little more body than most Grignolino. It has hints of cherry and a touch of spice. 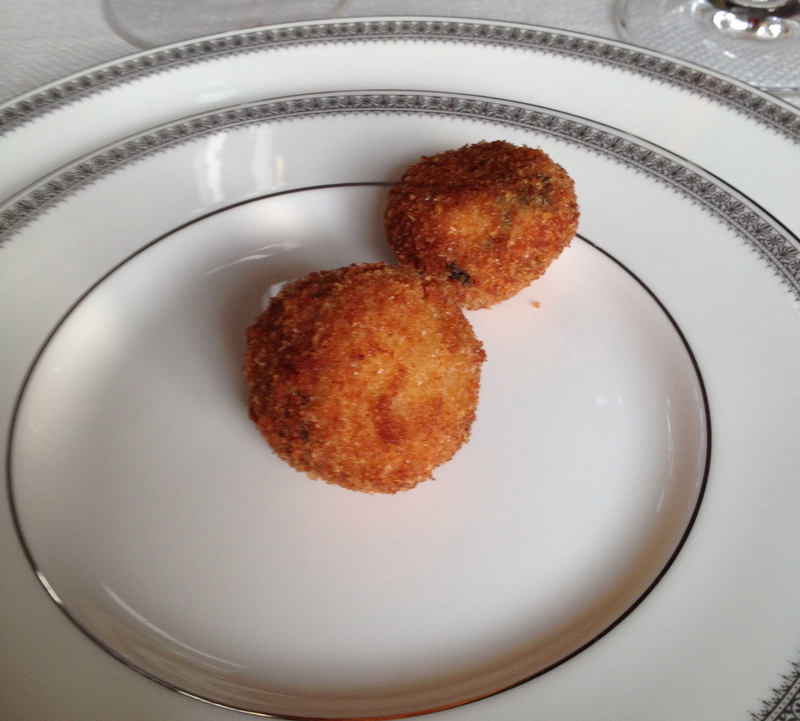 This was served with the polipetti di polpo (octopus croquettes) from “The Smell of the Night.” Tom did not want to serve a white wine with this dish but paired it with the Grignolino which was a good choice. 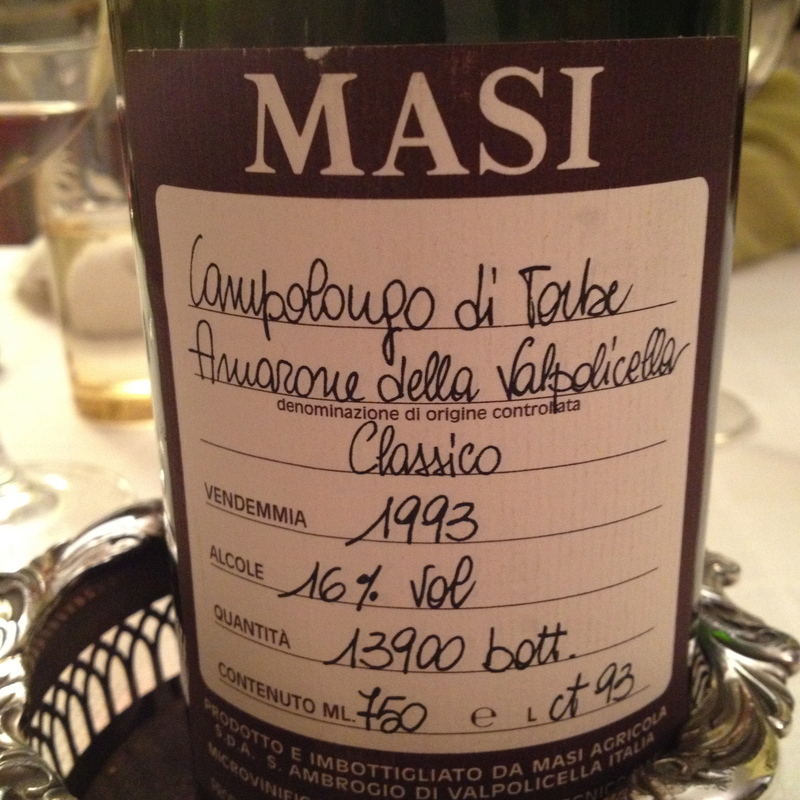 Amarone della Valpolicella Classico DOCG “Campolongo di Torbe “ 1998 Agricola Masi made from Corvina, Rondinella and Molinara. The Campolongo di Torbe vineyard has southwest exposure and is at 375/400 meters. The soil is deep, red eocenic limestone, with good drainage and stones. Wide terraces are supported by natural stone walls called marogne. Amarone is made ​​by drying the grapes. Bunches are dried on bamboo racks in farmhouse lofts in the vineyards, with natural ventilation. By mid-February, the grapes weigh 35-40% less; Corvina is the only variety affected by botrytis (noble rot). After delicate pressing, the dried grapes are partially destalked, fermented in large Slovenian oak barrels (large barrels), at a very cold temperature until the sugar has completely transformed to alcohol, and Malolactic occurs. Most of the wine is aged in 30 to 40 hl Slovenian barrels; a portion is matured in 600 liter Allier and Slovenian oak casks: new and second, third or fourth passage. The wine remains in bottle for a time before release. This is a full-bodied wine with hints of raisins, cherries, fruits preserved in spirits and spice. It has a very long finish. We finished the lamb with the Amarone and finished the Amarone with cheese. that looked really good – you guys have quite the life – cheers!